Rotary Youth Exchange, District 5730 Rotary Youth Exchange Inbound Student Info. 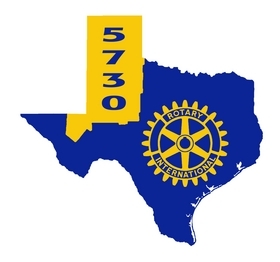 This page is designed for students from other countries to be able to find out more information about the Rotary Youth Exchange Program here in West Texas. We utilize a database system to keep up with forms and regulations. Please goto our database site to send reports and update your information. Rotary District 5730 is a member of the South Central Rotary Youth Exchange multi-district. You can find out more about SCRYE by selecting the tab on the left hand side of the screen. If you are interested in purchasing a tour at the end of your exchange, there are two tour companies that we have approved. Please feel free to check check out their websites. Waiting lists do form, so don't delay if you are interested. South Central Ambassador Tours, Inc.
CLICK HERE TO SEE A GOOGLE MAP OF DISTRICT 5730!